One of the most powerful monarchs in British history, Henry VIII ruled England in unprecedented splendour. In this remarkable composite biography, Alison Weir brings Henry’s six wives vividly to life, revealing each as a distinct and compelling personality in her own right. 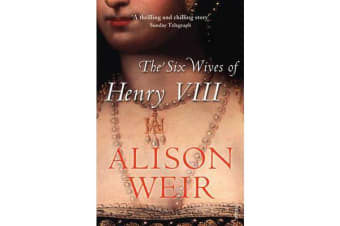 Drawing upon the rich fund of documentary material from the Tudor period, The Six Wives of Henry VIII shows us a court where personal needs frequently influenced public events and where a life of gorgeously ritualised pleasure was shot through with ambition, treason and violence.